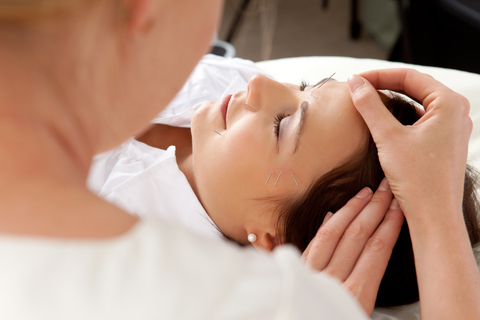 Inspired to work on your health with the Dr. John Nieters and his team at Alameda Acupuncture? We are accepting new patients. We are excited to share our unique vision of health and wellness with the world. Call (510) 814-6900 or click here to schedule an appointment. Please like us on Facebook for information about events and resources mentioned on the Balancing Point program. Alameda Acupuncture sponsors The Balancing Point radio show and podcast, which is for information purposes only and is not intended to diagnose or treat any health concern. Please consult a licensed professional regarding your health care. Was trying to listen to podcasts today, and they mostly seem to be foreshortened. One after another, they start out with the theme song, then a greeting, some teasers regarding that day’s program… then it immediately starts up with the next podcast. As far as “Pain 101″… only one program appeared to have been downloaded completely. – Is there a way to download complete programs and burn them to CDs? I do use my computer at times and in places that Internet connectivity is not available. Actually, they were iTunes archived programs to which I was listening. It appeared to be that perhaps programs had been ‘saved’, but not given adequate time to fully download? As to the above link, it only shows one current (7/22/2015) program. The rest are from 2011. Today is 8/21/15, and since I am away from the Bay Area, I was trying to stream both TheMedicineMen and TheBalancingPoint via KEST, but their Internet stream this morning is terribly garbled. I could make out that you and Dave were talking about stroke vs. small blood vessel disease, but I could not tell if the program was current, or a replay. It did give some insight as to why Dave may be relocating to Maryland. I wish his mother, and his future endeavors well. I also hope that TheMedicineMen will continue! I too share the opinion that “Modern Medicine” is like an arrogant teenager. Sorry you had a hard time streaming. I am rebuilding our old site and starting from 2011 adding shows in the order that they aired. One day in the not too far future, I hope to be up to date!! I will also load up episodes of the Medicine Men eventually.